The Best in Game Development Technology! Hi, welcome to the RAD Game Tools website! Here at RAD, we make video game development tools. In fact, at least one of our products is built into almost every video game made today. To date, we've appeared in more than 23,000 games! ...if you just want to convert your video files, click here to download the RAD Video Tools! Game developers like our products for a couple reasons. First off, they are designed specifically for them - we aren't just repurposing technology designed for some other market. Secondly, our developers are the ones doing the actual technical support and documentation. When you need help, you talk to the right people. Finally, our licensing is the easiest in the industry - simple agreements and flat fees. You can read all about our products on this site, but the best way to evaluate them is to let your programmers try them! Give us a call at 425.893.4300 or email us to get a trial version! We currently have five main tools: Bink Video, the Telemetry Profiling System, the Miles Sound System, Granny 3D, and Oodle Data Compression. 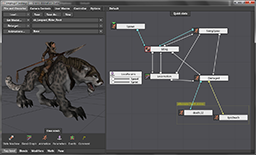 Each of these tools solve a different problem for game developers. Let's talk about each one. 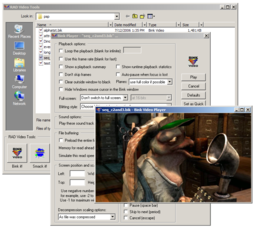 Bink 2 is the perfect video codec for games - it's tiny, easy-to-use, self-contained, and crazy, crazy fast. Bink now has HDR support! Compress and playback high color-depth video in your HDR game. Bink also has optional GPU decoding for even faster decoding! With GPU-assistance, you can decode 4K video frames in as little 2.3ms on PS4/Xbox One, and 1.4 ms on a PC! Oodle data compression gives you the fastest lossless generic data decoding in the world. Load your data faster, pack your data smaller, cross platform and easy to use. 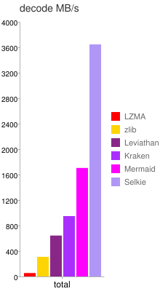 Oodle features the amazing Oodle Kraken, Oodle Mermaid, and Oodle Selkie - three codecs that decode faster than anything seen before. Now, in 2018, Oodle adds the new Oodle Leviathan codec which brings our amazing decoding speeds to higher compression ratios than ever before. Oodle Network compresses packets for TCP or UDP networking up to 6X more than bit-packing alone. Run more players on your game servers and use less bandwidth. Telemetry is the profiler that you've always wanted to write for yourself! 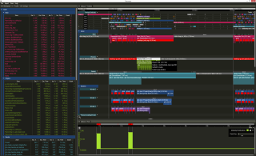 It is a sophisticated new toolkit for profiling, tuning, and, most importantly, visualizing real-time application performance. By looking at your program's execution over time you can intuitively find candidates for optimization, very often in places you didn't realize needed optimization! 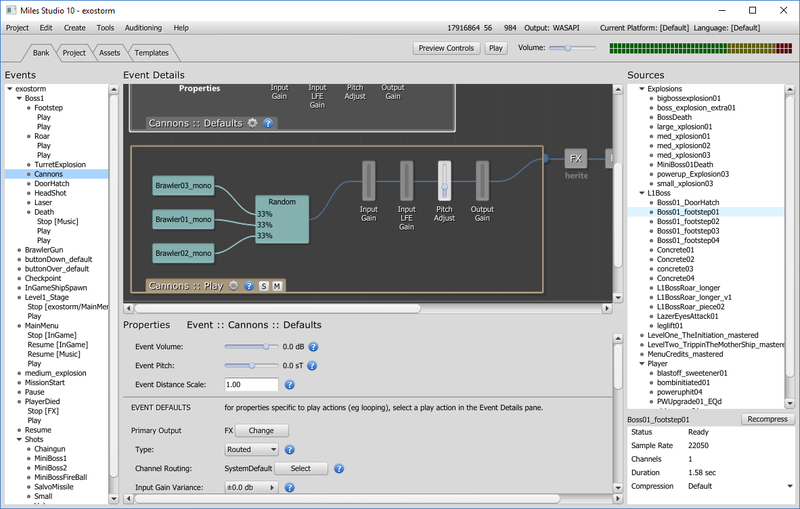 Granny 3D is a powerful toolkit for building 3D games. Granny can be used for as little, or as much, as you want her to handle! She can export all of your Max, Maya and XSI data (models, animations and/or textures), she can do all your run-time animation, she can do normal and texture map generation, and she can be used to build your game engine or just strengthen it. Granny is available for all 3D platforms. The Miles Sound System 10 is now available!! Miles features a no-compromise toolset that integrates high-level sound authoring with 2D and 3D digital audio, featuring streaming, environmental and convolution reverb, multistage DSP filtering, and multichannel mixing, and highly-optimized audio decoders (MP3, Ogg and Bink Audio). Miles is available for all game platforms! If you have any questions about any of our products, don't hesitate to email us!